Ms Öznur İnanılır joined ELIG Gürkaynak Attorneys-at-Law in 2008. She graduated from Başkent University, Faculty of Law in 2005 and following her practice at a reputable law firm in Ankara, she obtained her LLM degree in European Law from London Metropolitan University in 2008. She is a member of the Istanbul Bar. 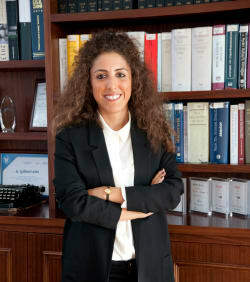 Ms İnanılır became a partner within the regulatory and compliance department in 2016 and has extensive experience in all areas of competition law, in particular, compliance to competition law rules, defenses in investigations alleging restrictive agreements, abuse of dominance cases and complex merger control matters. She has represented various multinational and national companies before the Turkish Competition Authority. Ms İnanılır has authored and co-authored articles published internationally and locally in English and Turkish pertaining to her practice areas.